Sci-fi and fantasy publishing label Tor U.K. says that one year after it removed DRM from its e-books, nothing much has happened. 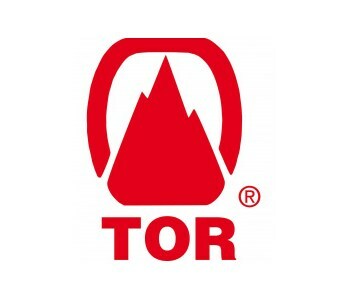 In April 2012, publishing imprint Tor U.K. announced that it would remove the DRM from its e-books, saying that not only readers but also many of its authors wanted it gone. One year later, it's looking like a smart move: customers are happy, authors remain supportive and, most important of all, the rate of piracy of its titles hasn't budged. "Having been in direct contact with our readers, we were aware of how frustrated many of them were by DRM. Our authors had also expressed concerns at the restrictions imposed by the copyright coding applied to their e-books," Tor U.K. Editorial Director Julie Crisp explained. "For us, we felt a strong sense that the reading experience for this tech-savvy, multi-device owning readership, was being inhibited by DRM leaving our readers unable to reasonably and legally transfer e-book files between all the devices they had. DRM was an irritant taking away the flexibility and their choice of reading device and format, the very things that made the e-book so desirable a format to begin with." "Protecting our author's intellectual copyright will always be of a key concern to us and we have very stringent anti-piracy controls in place," she continued. "But DRM-protected titles are still subject to piracy, and we believe a great majority of readers are just as against piracy as publishers are, understanding that piracy impacts on an author's ability to earn an income from their creative work. As it is, we've seen no discernible increase in piracy on any of our titles, despite them being DRM-free for nearly a year." Books are books and games are games but the similarities are obvious, and while this is just one more anecdotal tale of "DRM serves no one," you have to hope that also makes it one more step toward recognition of that fact by the major publishers in all relevant industries. Crisp also confirmed that Tor U.K. will continue to publish all its e-book titles DRM-free. Source: Tor, thanks to The_root_of_all_evil for the tip.